The Polish Bishops Episcopal Conference is holding its annual plenary meeting. At a press conference which dealt with a number of issues, the issue of admitting to Holy Communion Catholics who had divorced and entered a second, illicit relationship (Adultery) was raised. Bishop Mizinski assured Catholics that the Church in Poland will be not be “listening to the voice of the world to match the Gospels”, but rather following Christ and conforming the world to Our Divine Saviour. This is a major victory for Catholics worldwide who are gravely concerned with the pressure being brought to bare by the Adulterist and Homosexualist Parties, who seek openly to overturn doctrine, following the heresies that were surreptitiously introduced into the truly scandalous mid-term relatio. In rejecting the Adulterists, the Polish bishops have thrown down the Catholic gauntlet before these neo-protestant heretics who would seek to admit to Holy Communion those living in gravely sinful, adulterous relationships, blaspheming Our Blessed Saviour in the process and defiling the Bride of Christ, the Church. If there is going to be a schism, it will be the heretics leaving Christ’s spotless Bride. Journalists present at the conference, asked about the possibility of granting Holy Communion. for divorced. Archbishop Jędraszewski confirmed that the response of the Polish Episcopate will remain faithful to the teaching of John Paul II, as formulated in the Apostolic Exhortation “Familiaris Consortio”. The Metropolitan of Lodz also rejected the suggestion that the Pope Francis wants to liberalize this teaching, but rather encourages open discussion of the Synod Fathers, who do not seek to change the doctrinal principles. It can not be separated from the doctrine of pastoral care. 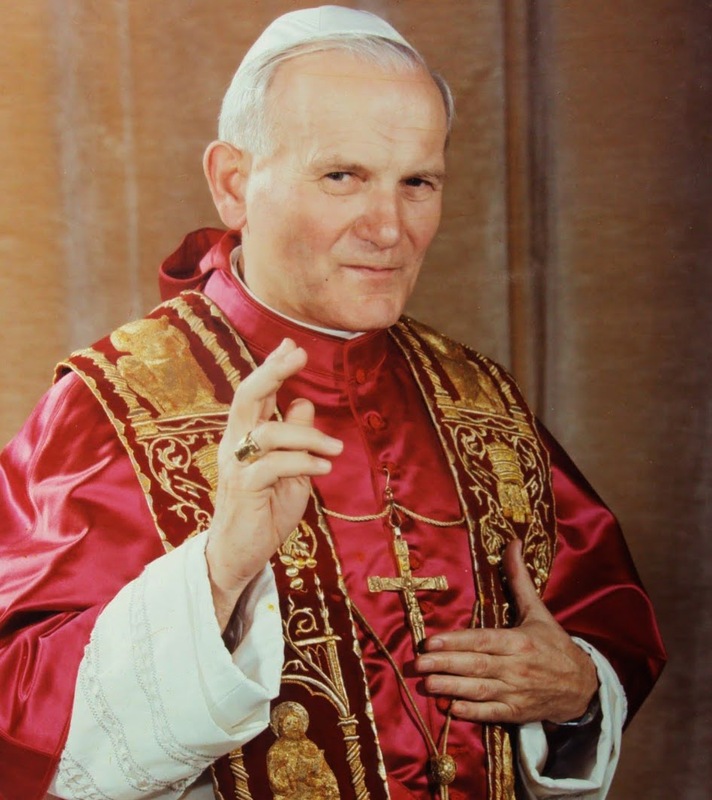 – “The Holy Father is not the creator of the principles that guided the Church, reminded Archbishop Jędraszewski. “He is not the creator of doctrine, he is its first guard in communion with the entire episcopate”. De Poolse bisschoppen bisschoppenconferentie verwerpt de Heilige Communie voor de gescheiden en hertrouwd ~ de bisschoppen zal “trouw blijven aan de leer van Johannes Paulus II …” Is weer een hele prachtige Blog eerwaarde,ik ben maar een gewoon mens en kan daar geen uitspraken op doen. Wel is het normaal ; dat men moet doen dat er in de bijbel geschreven staat, en de paus is hier de aardse voorspreker van op dit moment, dus moet iedereen zich daaraan aan houden.Het goede wint toch altijd van het kwade…heeft zijn tijd nodig, toch zal het geschieden. Wens je nog een vreugdevolle zaterdag toe met vriendelijke groeten van Walter.God bless you my friend. Excellent! We’ve been in an apostasy for quite a while. May as well bring it out into the open. And the enemy has occupied the palace. Have to draw a line somewhere.